You might feel like it’s tough to take care of the people on your gift list without spending a bundle. The fact is, there are plenty of wonderful gifts that don’t cost a lot! You’ll find plenty of advice and suggestions for inexpensive presents all over the web, but many suggestions – such as regifting, giving second-hand items or hitting the dollar store – fall short and may lead to disappointment or even insult the recipient. Here are some of our favourite, most unique Christmas gift ideas on a budget. You’ll be amazed at what you can give while saving big. 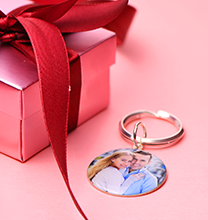 Believe it or not, you’ll find plenty of pocketbook-friendly ideas for that special someone! 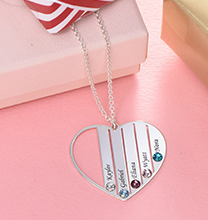 A personalised angel wings necklace set fits the mood of the Christmas holiday, and a silver engraved heart necklace is a romantic classic that will be treasured despite its affordability. 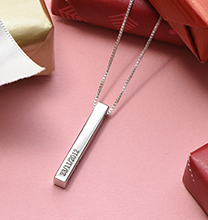 Our selection of customized name necklaces and nameplates can be romantic or simply thoughtful, and they’re ideal for mums, grandmothers, sisters, brothers, dads, or even your best friend. 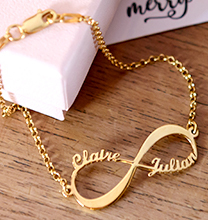 For more fantastic Christmas gift ideas on a budget, take a look at our personalised jewellery on sale. There’s a little something for just about everyone, and when you package it alongside some sweet treats and a thoughtful card, it will stand out as one of the best, most memorable presents of the year. 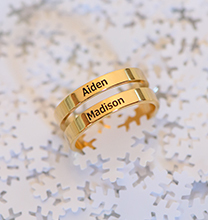 If your list includes extended families with kids and you don’t want to leave anyone out, consider giving family gifts. Board games, edibles, or a “movie night” basket with popcorn fixings, candy, and virtual gift cards or promo codes for Redbox movie rentals are some of our favourite family Christmas gift ideas on a budget. 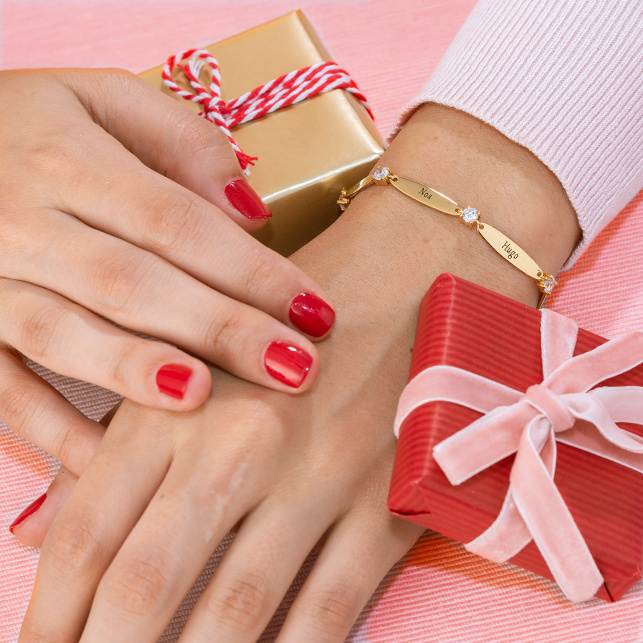 You don’t have to spend a lot, yet the recipients will be thrilled at your thoughtfulness.